Get your 5 Frame Nuc on order today! 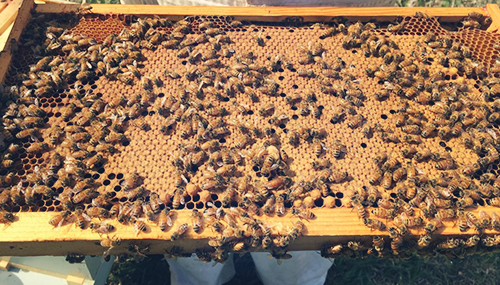 We have a limited supply of very high-quality nucs that will be packed with bees and a laying queen and ready to be transferred into your equipment. We specialize in removing and relocating unwanted bees in Ventura and Santa Barbara County. Pest control companies often use Toxic chemicals to kill bees which not only hurts the environment but also can lead to rotted wood or drywall. 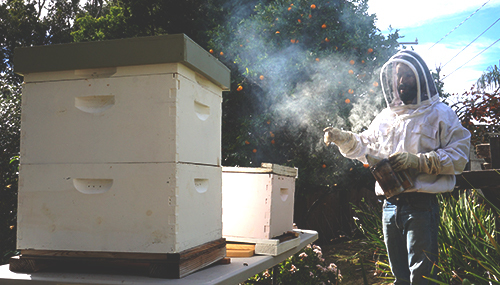 We offer a humane alternative to using poison by removing the live bees and relocating them to farms in Ventura and Ojai. Also, we specialize in removing Africanized aggressive bees which can be a serious threat to your safety if not dealt with properly. Don’t let bees or wasps keep you inside. On average between 20-40% colonies die off every year due to a number of different issues that plague bees (pesticides, varroa mites, beetles, nosema, starvation). Proper care can lower the die off rate to less than 10%. For more information or to request any of our services, please contact us below.